On July 1, the Conference in Commemoration of the 90th Anniversary of the Founding of the Communist Party of China was held at the Great Hall of the People. General Secretary Hu Jintao delivered an important speech at the conference. The Party Committee of the Chinese Embassy organized all its members to watch the video of the conference. 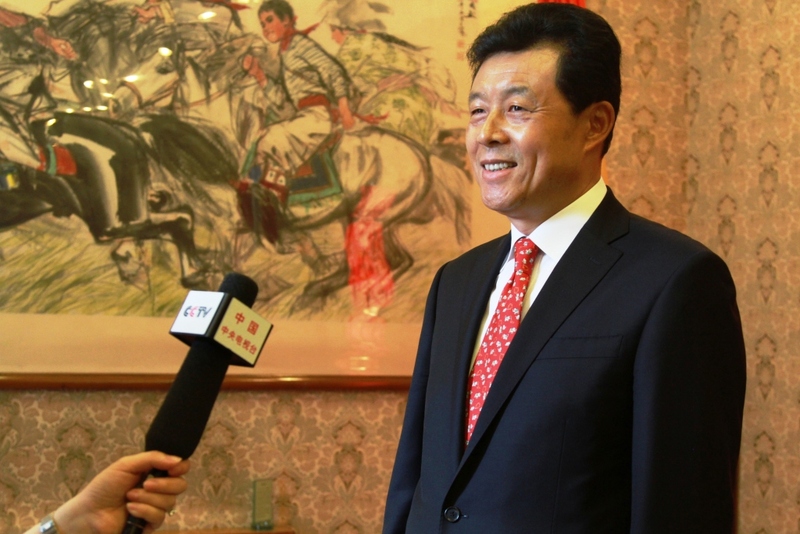 In his interview with CCTV, Ambassador Liu said that General Secretary Hu Jintao's important speech is uplifting, encouraging and motivational. The speech carries a strong cohesive power and provides great encouragement to China's diplomacy. The staff of the Embassy shall earnestly study and put in practice the spirit of General Secretary Hu's speech, bear in mind their responsibilities and missions, exercise duty with loyalty and dedication, forge ahead for progress and make greater contributions to the diplomatic cause of the Party and the country.